YOU look detached. Here, but not here at the moment, we ask this guy with long hair and a pepper salt beard. “I am very much here. Where else could I be?” he replies, with a glint in the eyes, which is not coming from anything that he belongs to — glamour, fame, money, good clothes and sinful temptations. It’s of a different kind. Something that comes from a higher connection with the soul, mind or universe. Spirituality? “Now, what’s that, I know nothing of spirituality. I don’t believe in the image of god that people have created. But you know what, I want to be a tree, I would have wanted to be one. It gives everything.” Who would have expected this kind of conversation with a man who captured the hearts of countless women, a style icon, and a super model, Milind Soman. The model, actor, producer, event manager and scriptwriter, surprised, rather amused, many with his ‘new’ self. “I am not much of a talker. I can sit quietly without uttering even a single word. But, if you have a question, I have an answer,” says Milind. Give us some real answers. “I was ten when I came to Patiala. I saw the Bhakra Nangal Dam and I loved it. At 13, I came to Chandigarh and last I was here around three years back. I quiet like this city, for it’s good weather and well-laid out walking space.” And yes, he loves Punjabi food too. “Saag and palak,” he tells, the super model turned actor, who hasn’t attended any fashion show from the last 12 years. “It’s a secret. I am just busy with too many other things. Television production, event management, jogging and more,” says Milind, not really interested whether we believe him or not. “People tell me I was a great model, a good looking one. Well, it was then, and here I am now. They ask me why acting now? And I ask back, why not. What has age got to do with acting? Why are we expected to do a certain thing at a certain age? I am happy with what I am doing. Some interesting acting offers came to me and I went ahead with them,” he says. So far, Milind is giving us the much-needed info. Just one question is enough to break the rhythm. Do you believe in soul mates? “Yes, one less than six billion,” comes the reply. “I have connected with most of them, whether they do the same I don’t know,” says the philosophical Milind. What about love? “What about love, no one has been able to comprehend that. We keep finding it,” smiles Milind, unruffled by the surroundings. Back to the stereotypes. Your kinda style? “Anything that’s comfortable. If you are comfortable with what you are wearing, it will reflect in your attitude,” tells Milind. Fashion advise? “Make your mistakes. We are so willing to listen to others, rather make your mistake and then learn from it,” he says. Anything in the pipleline? “Lots. I’ll open a gymnasium in Delhi and by the end of July I will get rid of my long hair,” he says. He calls out before we leave, “Hey! I am very much here.” Are you? FRIDAY night saw Esprit combine fun with fashion at their VIP Nite. The invitees, elite card members in the city, enjoyed a rocking party with Milind Soman, Gul Panag and Minnisha Lamba. According to Manjula Tiwari, chief operating officer, Esprit, “VIP Nites are held at Esprit stores worldwide. It’s our way of acknowledging our platinum card holders.” The club members were given a taste of Esprit’s latest seasonal offerings showcasing their casual, EDC and kids collection. SHE is happy with the changing mindset of the consumers as well as the changing Indian market that is being flooded with new brands. Plus, she can talk at length on the comfort of branded tees. She could be a perfect brand ambassador. Meet the petite looking Yahaan girl Minnisha Lamba, who loves to experiment with style, as long as it suits her. “A few people look good in whatever style they sport. Others go with the regulars. I am okay with the idea of experimenting, but I always return to my comfort zone,” says Minnisha. “The new style has to first settle in me, only then I decide whether to go in for it or not,” she explains. Fitness is a priority with her and so is commercial cinema. “I want to do good commercial films. The ones that leave a smile on the face of the audiences,” she says. WE are happy to see her again. After a brilliant performance in Dor, she is back with Summer 2007. “The movie is based on the urban-rural divide and how a major part of India is still very backward,” she tells. Gul loves her new retro hairstyle. “It is easy to manage. I like Esprit’s new collection too, which too is very retro,” she says. Besides this, Gul likes to update her blog, wherein she likes to write more on fitness. You don’t have to be a rocket scientist to guess what works for the debutant star cast of any movie. A good director, an okay script oozing with love, two or preferably three fresh faces, a good banner, which can splurge money on promotional activities, a brigade of music directors, and exotic locales. And Haal-e-dil has all of this. We meet up with the cast and crew of the movie and ask them about their expectations from the flick, which is a launch pad for Adhyayan Suman (Shekhar Suman’s son), who couldn’t make it to the conference, Amita Pathaak and Nakul Mehta. Unlike other youngsters who have grown up watching Amitabh Bachchan’s movies, Nakul has a different story to tell. “I have grown up watching Madhuri Dixit’s movies. I wanted to act opposite her, says Nakul, who has done a lot of commercials, theatre and modelling before he finally got Haal-e-dil. She is the daughter of a known producer, Kumar Mangat, but she is certainly not one who would like to sit on someone else’s laurels. Amita believes in carving out a niche for herself. “I as three when I decided to act but my father was skeptical about it. It took me 15 years, a lot of hard work, training in dance, music and acting to convince my father. This is just the beginning, I want to grow as an actor with each movie, says Amita, who belongs to Anandpur Sahib and feels that she has a close connection with Chandigarh as well. WHILE you jive away to foot tapping music, one of them keeps a close watch so that no one interrupts or spoils your good time. Not even an unexpected admirer. Personal well-being is what they have on their mind. These are some who strongly believe that good time can only be enjoyed with the right mix of fun and safety. Meet the burly oversized men, who ensure that everybody has a good time at a party, but within limits — the bouncers. And if you thought it was an easy job, well, you are in for a revelation. Thumping music, wanted, unwanted patrons, who can turn rowdy at the drop of a kerchief, all that shady stuff happening, and the boys watching everything from a distance, not allowed to interrupt, until something goes wrong drastically. Now, how easy is this? “A bouncer’s duty is to monitor the crowd and to see that everyone behaves and follows house rules. We are paid for it, says Ruby, permanent security manager with Club Warehouse. There’s a common misconception that bouncers have the authority to pick someone up and physically remove him or her for violating club rules, which is not true. Our main aim is to see that everyone enjoys but within limits. Besides, we have instructions to keep our cool even when matters get worse”. Puneet Kapoor, who works as a part time bouncer feels that the best bouncers are those who know the art of talking to people without appearing to be threatening or intimidating. “We are like any other employee of the club hired by the authorities . We have to keep a close watch on the people. If a customer gets messy after drinks, we can only request him to leave”. All the same, Puneet also believes that when force is used, which is very rare, it must be reasonable. Agrees Sikander Sethi, another part time bouncer from Rajpura. “Dealing with customers who are drunk and ignorant is not fun always. “They can turn abusive, hostile also. But we cannot bash them up for this,” he smiles. “We are not hired to do this. Some do understand this, and a lot of them don’t. Those who don’t, well what are we here for.” For once, says Sikander this job has made be zillion times more tolerant towards others than what I used to be. THIS 25-year-old is happy to be living in the times of endless opportunities. Meet Akshay Dogra, the Delhi boy who is winning the hearts of the audience with his rib tickling performance in Kiss Kiss Bang Bang on Bindaas. Touted as one of the best new comers in tellydom, Akshay surely knows what he wants. “The high success rate of the youngsters is courtesy the huge pool of opportunities. Things are very different from what they were around a decade back,” says Akshay. 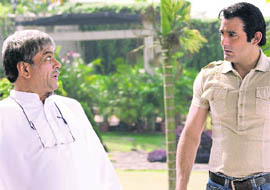 “I was working as first assistant director to Deepak Tijori,” he tells. “In fact, I was very nervous on my first day of shooting for Kiss Kiss… I was sure I would make mistakes,” he says. He plays the flirtatious, fun-loving and talented Rohan in the show. And well, he says there is a lot of him in the character. “We both are instinct driven and go with the flow. I take life as it comes and believe in living and learning from the moment,” he says. Stars and numbers reign over your tastebuds too. Here’s tasting some delicacies on the planet-platter! DO you find it impossible to resist a rich creamy leg piece of butter chicken? Are you one of those who advocate chocolate and only chocolate for dessert? Does a tall glass of thick salted lassi spell instant energy for you? And then, have there been times when you plainly refuse to even taste the fancy baked vegetable or rajma chawal? Well, if food cravings, tantrums, favourites and dislikes is very much a part of you, then here is the reason — blame it on the stars. Yes, the planet under which you were born, the zodiac to which you belong, and even your date of birth can explain why you like more of fruits and less of veggies, or why you think cola is better than soup even on a cold day! We spoke to our city-based astrologers to find out more and also to help you chart out a star-struck menu. Aries: Potato, carrot, onion, apple, fish. Avoid tomato and red meat. Taurus: Almond, cabbage, egg yolk. Avoid non-veg, red meat and sugar. Gemini: Red meat, fish, egg, plums, oranges. Avoid smoking. Cancer: Fish, potatoes, watermelon, melon, mushroom. Avoid junk food. Leo: Lemons, coconut, litchi, honey, green vegetables. Avoid red meat. Virgo: Lemons, almonds, grains, cheese, beef, lamb. Libra: Brown rice, wheat, milk, strawberries, spinach corn. Avoid sugar and starch. Scorpio: Onion, mustard, cabbage, fish, honey, radish, coconut. 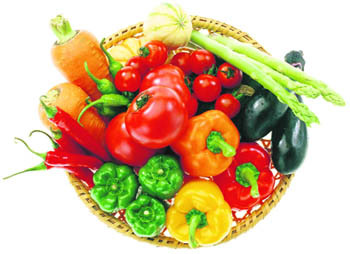 Sagittarius: Raw eggs, raw vegetables, fruits, tomatoes, beans, corn. Avoid Spicy food & smoking. Capricorn: Figs, green vegetables, oranges, lemons, egg yolk, cheese, fish. Aquarius: fish, pear, lemon, oranges, radish, grapes. Pisces: Egg yolk, onions, food grains, lamb, pear. Says astrologer P. Khurrana, “Every individual is born under a specific animal category say horse, lion, cow or a fish. So you can’t make a Leo craving for meat fall in love with veggies.” Imagine distancing a Piscean from water? “It just won’t work, a Piscean’s diet has to include a lot of water,” he says. So revolving the menu around sun signs helps? 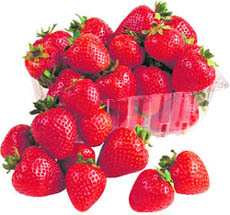 “It can improve your immune system, keep you healthy and disease-free,” he tells. Chips in astrologer Madan Gupta Spatu, “Every zodiac sign is ruled by one planet that determines what food needs to be taken.” He explains, “A lot depends on biological temper; for instance, a hot-tempered person has to take in a lot of cold items and vice-versa.” So, cold dishes can actually cool down fiery Leos. And perhaps the stars also explain why most people born under Jupiter are vegetarians. Okie, so we probe further for a solution and move to numbers. Tells numerologist and tarot card reader Renu Mathur, ”The root number can determine a beneficial diet. Add to it, the destiny number and you will be quite close to the perfect menu.” For the uninitiated, the root number stands for the date of birth and destiny calculation includes the date, month and year. So make a person with root number three bite into cherries, strawberries and apples, and watch his anxiety vanish! Or help deal a person with root number seven deal with his worries by introducing him to the world of carrots, cucumbers, mushrooms and lettuce. Well, now that sounds not just yummy, but exciting too. And yes, next time mommie stops you from biting into the huge bowl of scrumptious salad or that inviting murga, you know what to do, right? Add up your date of birth, say 15 becomes 6 (1+5=6), 29 equals to 2 (2+9=11 and 1+1=2) and so on. One: Raisin, oranges, lemons, dates, barley bread, thyme, nutmeg, cloves, lavender. Two: Lettuce, cabbage, cucumber, melon, linseed, chicory. Three: Beetroot, cheery, strawberry, apple, pomegranate, fig, almonds; nutmeg, saffron, tej. Five: Walnut, barley, oatmeal, thyme. Six: Beans, melon, peaches, apple, walnut, figs; mint, thyme, rose leaves. Seven: Carrot, cucumber, mushroom, lettuce, apple, linseed, chicory. Eight: Broccoli, carrot, spinach, sage, plantain. It was an afternoon of many firsts. The audio release function of Hashar, marked the foray of Eros International into Punjabi Cinema. Eros has been associated with leading names in the entertainment industry. Harman Maan stepped as producer for the first time. And as for our man, Babbu Maan, he is not only playing the lead role in the flick but has also composed the music and written lyrics for it. Speaking on the occassion on Friday, Babbu Maan talked of the technical soundness of the film and the problems faced by Punjabi Cinema. He said, “One of the main problems of Punjabi films is that it has very few buyers. Not very many distributors are ready to come forward. I hope big names like Eros will help bring about a change in the future.” With the films teasers doing well and so much of curiosity already surrounding it, he probably need not worry. On the audience request Babbu Maan sang a few lines from the title song. While the crew members spoke on various other ills plaguing the entertainment industry, piracy being the first and foremost of them. The film has been shot extensively in and around the city. So, you’ll get to see a lot of Panjab University, courtesy, the youth oriented set-up of the movie. Plus, glimpses of Ludhiana. And what’s their aim? To connect with the young and undertstand their problems. Now, to know what will be the Hashar of the movie, one will have to wait and watch! THE American dream factory is obsessed with cop-and-robber muck. Bollywood bubbles over with comedy. What was once a trickle has now turned into a flood. Wading through it, you enter the world of Priyadarshan who, this time, offers Mere Baap Pehle Aap. Consider this. Mall owner Gaurav Rane (Akshaye Khanna), his father, Janardhan Rane (Paresh Rawal), a widower, and his desperate-as-hell-to-get-married friend, Mathur (Om Puri), make every effort to tickle your funny bone. Then, there is Shikha (Genelia D’souza), an old college friend of Gaurav, who has come from the US and is staying with her guardian, Anuradha (Shobana). Shikha plays pranks on Gaurav. It’s all fun and frolic. You even tend to ignore the choicest gaalis (abuses), which a raving and ranting Archana Puran Singh, playing a Haryanvi police officer, hurls at Janardhan and Mathur when they are caught in a girls college. Later, it turns out Shobana was Janardhan’s first love and hadn’t got married after separating from him. Gaurav and Shikha now take it upon themselves to marry the two. The hilarious twists and turns of the plot till then make you almost pronounce it a laugh riot. Then, just then, it becomes pedestrian fare. A reunion in a Hindi film has to be with a dash of melodrama. Stupefied in-laws of Janardhan’s second son, Chirag (Manoj Joshi), are up in arms against the proposed marriage, which they think would sully the image of both families. To make things worse, Shikha’s father, Kapoor (Naseeruddin Shah), is also not reconciled to the idea of his daughter marrying someone whose 60-plus dad is readying to get married. Inanities are to be mouthed, some tears are to be shed and needless songs to be sung before the hero accomplishes his mission. The director initially succeeds in creating situational humour. Akshaye and Rawal ‘s breezy banter is infectious. Certain sequences involving Rawal and Puri are comical. Things start going wrong the moment Priyardarshan introduces an element of drama. The scenes in which Rawal is confronted by the in-laws of his son, and the US-based “progressive” NRI, Naseeruddin Shah, gives a long lecture on Indian culture and tells Akshaye to choose between his father and (Shah’s) daughter are too dramatic and evoke yawns. In one scene, Manoj Joshi slaps his wife for opposing his father’s planned wedding and insulting his family. However, in the very next scene, the woman is seen to be happily becoming part of the family reunion. Akshaye and Rawal have a yen for comedy and their dialogues reveal their humorous side. But after a while they also fail to lift the movie from the depths of mediocrity. Genelia considers it below her dignity to give even a flicker of meaningful expression. Om Puri and Archana’s comic interludes are clothed in vulgarity. The worst is Rajpal Yadav’s fate who portrays an employee in Akshaye’s mall. Finding no vigour in his role, Yadav exits even before the interval.